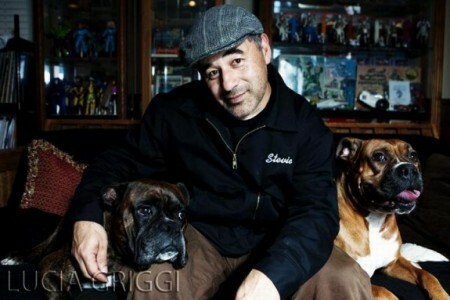 The many faces of Steve Caballero and friends. Cab is a classic case of a skate park kid made good. 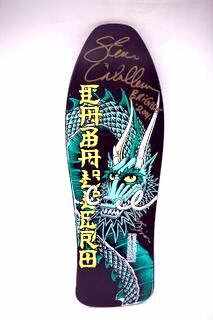 Born in 1964 – the Year of the Dragon – Caballero utilized the dragon theme in his graphics, as he became one of the leading skateboard stars out of the 1970s and into the 1980s. He started off riding BMX inspired by Evel Knievel – a major cult hero of the 1970s. He began skateboarding at the age of 12, just goofing around, when just making the turn from the driveway to the sidewalk was a big deal. A big fan of comic books and monster magazines, skateboard magazines also caught Caballero’s fancy and inspired a deeper interest – beyond the driveway. Caballero became a teenager just as skate parks were sprouting up around the world. His first experienced was at Concrete Wave Skatepark in Anaheim – during trips with dad to Disneyland.· Closer to home, Caballero became a regular at the Winchester Skate Park in Campbell and then bailed on Winchester for the Campbell Skate Park – because it was only $1 a day to skate. Caballero competed with the Campbell Skate Park team. He had a natural talent and a driven enthusiasm – because skateboarding was something where a little big man could excel. Stacy Peralta saw that excellence early on, and Caballero became one of the first team members for Powell Peralta in 1978 – at the age of 14. By 1980, Caballero was already a veteran of skate park bowl competitions and he had christened his own trick: The Caballerial, aka a fakie 360 ollie. The Half Cab is a fakie 180 ollie. Into the 1980s, Caballero was one of the star members of the Bones Brigade, featured in the series of action sports videos produced by Stacy Peralta and Craig Stecyk for Powell-Peralta. Steve Caballero was one of the major skateboard stars of the 1980s, and he surprised himself and his parents by earning a very good living with board sales and shoe sales. One of his better qualities is that he is very loyal to the companies who first sponsored him. 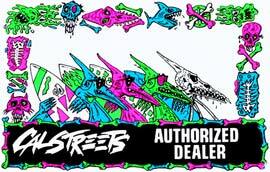 Thirty years later, he is still with Vans and Powell-Peralta. This portrait was taken in the winter of 2010 at Caballero’s home in Campbell, where lives surrounded by comic books and superheroes with his wife Rachel, daughter Kayla, revved-up son Caleb and two protective dogs.